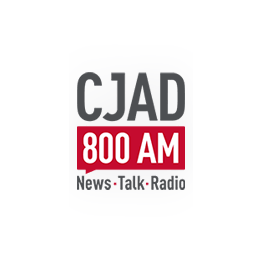 CJAD 800 also known as Newstalk 800 or just CJAD, is a news/talk radio station in Montreal, Canada. On CJAD you can listen to interesting conversations and talk shows, as well as frequent news, traffic, and weather updates. CJAD is often called Montreal's heritage anglophone station because together with 690 CKGM they are the only two full time commercial English-language stations that exist in Quebec on the AM dial. This station was created on 1945 and it was aired for the first time on December 8 in that same year. Its call sign refers to the initials of its founder, J. Arthur Dupont. CJAD is currently owned by Bell Media and it broadcasts with 50,000 watts during the day and with 10,000 watts at night to avoid interfering with other stations using the 800 frequency.